For both women and girls, this daily, arduous task of fetching water exposes them to sexual and other forms of violence. They may be forced to navigate insecure environments to access water, experience fighting in water queues due to water scarcity or face abuse at home for failing to fetch enough water. Women are also more likely to be exposed to water-borne illnesses when clean water is unavailable, due to their domestic responsibilities, such as caring for children’s hygiene, and growing and cleaning food. And where water resources are scarce, women may be exploited by those who control these limited resources for sexual favors. 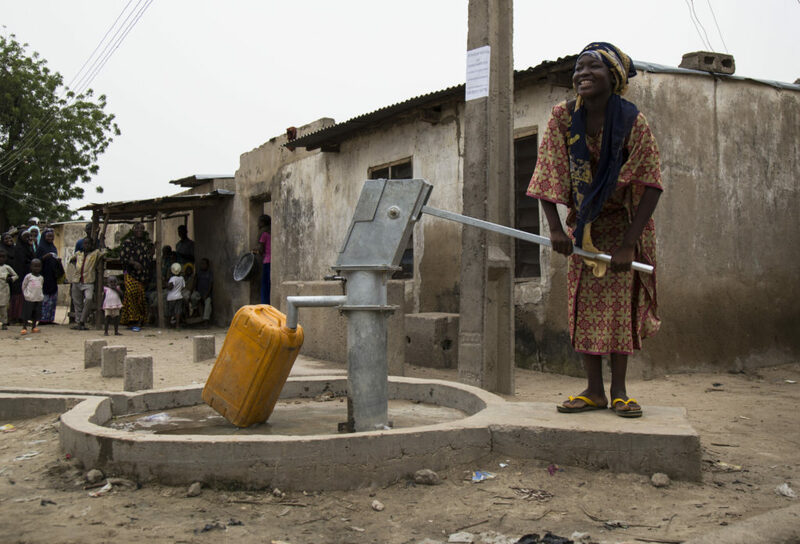 Fatima Mustapha knows firsthand how essential WASH programs can be. A 22-year-old mother, Fatima was forced to flee her home in northeast Nigeria after Boko Haram militants burned down her village and house. She traveled by foot, with only her six-month-old son on her back, for nearly 115 miles over five days until she reached Maiduguri, where for a week she lived on the streets with her son, begging for food, water and shelter. 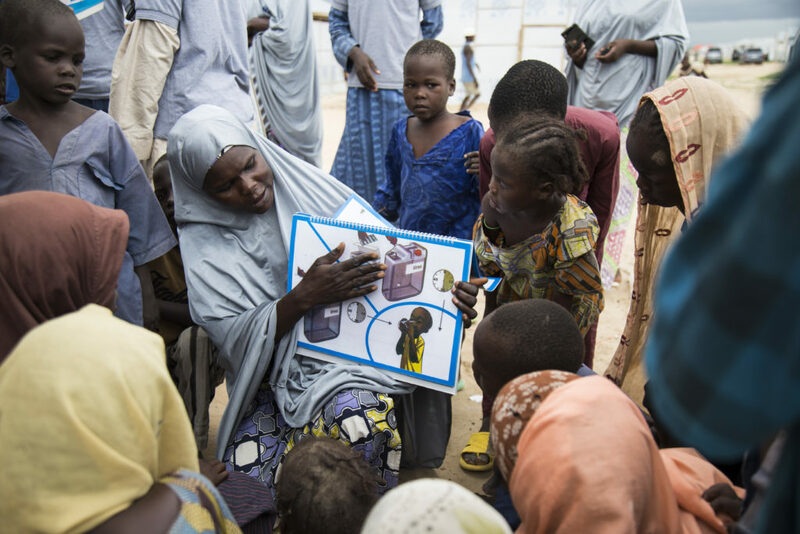 Eventually, she found herself in Gubio Camp, along with other displaced Nigerians. Fatima has no idea if her husband, Mallan, survived the attack. She has no family or relations nearby. In the absence of sanitation services and information on proper hygiene, she and others in the camp practiced open defecation and drank dirty water, contributing to poor health and the spread of diseases—until International Medical Corps began running WASH programs in the camp. We rehabilitated latrines and improved their maintenance, including proper management of solid waste. We began water testing and treatment training, and distributed aqua tabs, hygiene kits, jerry cans and sanitary materials while training volunteers to promote proper hygiene practices. Rates of open defecation plummeted, while water quality improved dramatically. As a humanitarian relief organization, we cannot stop tragedy or disasters from occurring. But we can help women like Fatima avoid the compounded misfortune of unclean drinking water, or the risk of shame and sexual violence during defecation and menstruation. We can help women like Fatima make sure that their kids grow up knowing how to properly wash their hands and stay healthy. And we can help young girls stay in school and build their dreams rather than spending their days fetching water or hiding at home during menstruation.